As busy I get from time to time, I find that I can't see every movie under the sun, leaving my friends and colleagues to fill in the blanks for me. As poetically as I think I wax about movies on this website as a wannabe critic, sometimes a simple sentence or two from a friend says it all. Sometimes, it inspires me to see the movie too and get back to being my circle's go-to movie guy. Sometimes, they save me $9 and you 800+ words of blathering. 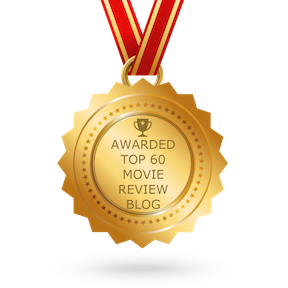 In a new review series, I'm opening my site to friend submissions for quick-hit movie reviews. Today's guest critic is here to review what, in some circles, is considered a recently modern romantic classic. She is here to charm your heart with her youthful yet insightful take on a film that turns 10 years old this year. Meet Becca and her review of 2004's "The Prince and Me" from director Martha Coolidge and starring Julia Stiles and the dreamy long-lost Luke Mably. Becca is six years old and is the lovely niece of Natalie Dybala, a Peotone High School classmate of yours truly. Natalie is a fellow educator like myself. She works as online math teacher for the K12 International Academy out of Hendron, Virginia, but resides in Orlando, Florida. She absolutely does not miss the Midwestern weather she grew up in, despite her fair complexion in the Florida sun. Mess with her and you get the claws of her onery cat Gandalf. When she's not teaching, Natalie also works in Orlando as a Photopass Photographer at Walt Disney World, the mecca of all things wonderful. Her niece, Becca, loves anything "princess"-related, but leans heavily on the heroines of the Disney variety. While not feeling well over this weekend, Becca got to stay with her awesome aunt Natalie for an all-day movie marathon. Knowing Becca, Natalie was primed for a parade of princesses topped off with the loud cherry on top of "Hairspray." To echo Natalie: HEADBANG! Being the cool and astute aunt she is, Natalie convinced Becca on a new, grown-up, and different slate of movies, but made sure to pepper in the proper amount of princesses to make an ill girl feel better. The sick day auntie playlist became "First Daughter," "The Princess Diaries," "The Prince and Me," "Helly Dolly!," "Mrs. Doubtfire," and "Clueless." The other pile of options was "Iron Man," "Iron Man 2," "Iron Man 3," "National Treasure," and "Night at the Museum." The girly choices one and a wonderful Saturday was won! "The Prince and Me" became the winner of the bunch for this Guest Critic review. Short and sweet, Becca nails it! "First they fell in love, then out of love, then in love, then out of love, then forever love. Well, other stuff happened to, but that's the basics. It was a good movie." Later, Natalie added that Becca said tell later that the movie had something "bad" in it because the prince took off his shirt. GASP! Then, she asked if she could take the movie home. She is now smitten with Luke Mably. Can you blame the girl?! Kudos to Natalie for bringing a new movie to love like "The Prince and Me" to a cool girl. I love the light bulb moment a movie a simple as that can bring. I can't wait to hear how the rest of that movie day turned out. Let that be a lesson to all of you. Share older movies with young kids. We always say that "they don't make them like they used to." Prove it and earn some cool points with the kids in your lives, as a parent, an aunt, or even a teacher. Blow a few minds and spark some new inspirations! Be that example, folks! See! What did I tell you? Cute as a button! That may or may not save you a DVD purchase, a spot on your Netflix queue, or a Redbox rental. Becca still saved me 800 words of my own groaning and my own wife's similar love of "The Prince and Me." I'd like to thank Becca and her aunt Natalie for being my fourth "guest critic!" Thanks for letting me play along and thanks for thinking of me with this review! Let's keep this going. Friends, if you see a movie that I don't see and want to be featured on my website (and get a fun fake biography written about you), hit up my website's Facebook page and you can be my next GUEST CRITIC!